Wonder which part of your body hides most mysteries? 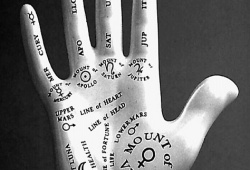 From the ancient time, according to ancient palmist, a person’s hand can reveal their destiny as well as characteristics. 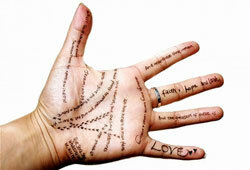 All the lines on the palm can give you genuine hints for different aspects of your life including the marriage and children field. Today, we’re going to discuss the topic “How Many Kids Will I Have Palm Reading” and help you understand your future child more. Palmistry is the science which gives replies to such questions regarding ‘how many children…‘ to find out whether the questioners are destined to conceive a baby or not. In fact, planning to have a child is a matter of destiny for both husband and wife. That’s why the hands of both husband and wife should be analyzed simultaneously. Suppose that the husband’s hand indicates children while his wife’s hand does not, or vice versa. When it comes to marriage and children, the palmist has to deliver his predictions carefully by judging the force of the hands. 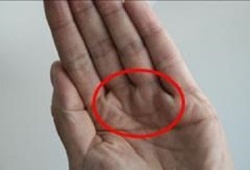 Although there are many different opinions about the Children Line’s position, direction, and prediction, according to some well-experienced palmists, this line is located above the Marriage Lines (standing upright below the pinky finger area). 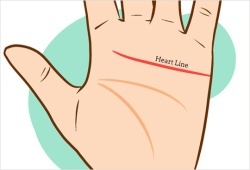 To spot the Children Line, you just need to stretch the dominant hand in front of you – if you press the palm edge with your finger tips, you’re able to note which of these lines is prominent. Children Line in Palmistry is more prominent in women’s hands than in men’s hands; therefore, it’s easy to read this line in females than in males, though the palm readers still can infer some degree of information from men’s hands. So, what the Children Line tells us? 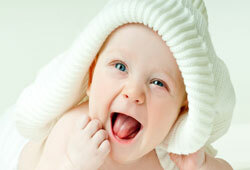 You can foretell the number of kids a person is likely to conceive in the future. Begin from the outer edge of one’s palm and carefully count the lines inward, then you will know how many children that the individual will give birth to. If the lines are broad and highly prominent, you may have male children. The fine and narrow lines, on the other hand are a sign of female children. If the lines are clearly marked, your future baby will be a healthy person who shall live an independent life. The feeble lines indicate a weak child who would need parental support throughout his (her) life. 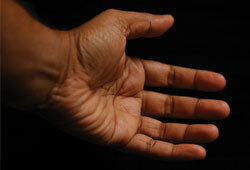 In Palm Reading Children Line, sometimes you could recognize one line taller than the others. What does it mean? There will be a particular child who shall be dearer to you than the others. Even though males are less likely to have clearly readable children lines, the presence of well readable children lines in male hands is an indication that he shall have a high interest in children. Also, reading the ‘islands’ in the lines can help you gain some important information related to children. 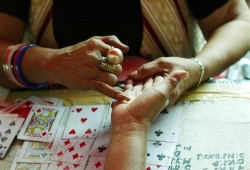 For more details about “How Many Kids Will I Have Palm Reading” , simple contact us. Previous article: How To Read Palms How Many Children?